"The World's Most Extensive Selection of Containment Solutions." Safe. The Purair® BIO is NSF 49, EN 12469, and UL61010-1 certified, ensuring safe operations for operators, the environment, and products. An "EN certified only" model, the Purair BIO-EN, is also available. Double-wall cabinet design. Contaminated air is fully contained and isolated thanks to a double-wall cabinet design and negative internal pressure. No safety dead zone. The Purair BIO has an innovative surrounded air intake grille that keeps all contaminated air contained within the cabinet. HEPA Filtration. The AstroCel® supply/exhaust HEPA filters provide 99.995% efficiency at 0.3 microns (Class H14). Isolated Controls. All control systems and pipelines are completely isolated from contaminated areas for safe and convenient operations. As a Class II Type A2 biosafety cabinet, the Purair BIO minimizes and contains Biosafety Level 1-3 agents, maintaining negative pressure inside the cabinet during operation to prevent contaminants from escaping the work area. HEPA filtration scours 70% of the incoming room air to protect the products, while the remaining 30% of the exhausted air is filtered by a second HEPA filter. Purair BIO cabinets provide ample workspace with environmentally sound operation and low energy consumption. Duplex electrical outlets with splashproof, UL listed covers. CSA certified service valves for gas, air and vacuum are also available. Maximum working pressure of 75PSI. Anti-ultraviolet 6mm tempered glass ensures maximum protection for the operator. The front sash windows of the Purair BIO can be released and lowered to easily access the inner surface of the glass, providing safer and more convenient cleaning than other cabinets. The angled window design (10 degrees) reduces operator head and elbow discomfort, as well as eye strain and fatigue. The work area and work tray are fabricated in a single piece of stainless steel with rounded corners. This reduces particulate adhesion and makes removal and cleaning convenient and straightforward. Allows HEPA filters to be replaced from the front of the cabinet quickly and easily. Purair® Bio PB-48, shown with optional base stand with adjustable feet. A. User Interface: Ergonomics, safety and aesthetics all come together with the 10° pitch of the face. B. Removable Tray: Raised one-piece work surface lifts and removes for easy surface decontamination. C. Durable Interior: The Purair BIO utilizes a heavy-gauge, one-piece liner with coved corners for easy cleaning and durability. D. Standard Control System: Reliable rocker switches and easy-to-read gauge for safety and durability. E. Double-wall Plenum Design: Double-wall design creates a unique plenum which surrounds contaminated areas with negative pressure, preventing the possibility of contamination from leaks in ï¬lter seal, gasket or cabinet structure. F. Ergonomic Fit: The angled front, narrow-front grille, raised armrest and frameless sash create an ergonomic work environment. Unique front grille designed to provide the maximum product and personnel protection. G. Clean: Single-piece stainless-steel work tray and front grille, lower drain pan with angled side, and single-piece work zone liner eliminate joints for superior cleanability. H. Safe: HEPA ï¬lters (Class H14) tested to a typical efï¬ciency of >99.99% for 0.3 micron particles. I. Robust Cabinet Construction: Key components, including ï¬uorescent lamps, motor capacitor, electrical harness, electronic ballast, and switch control are mounted outside the airstream and away from contaminated air to permit service without decontamination. J. Surround Air Intake Grill: All contaminated air is enclosed in the work area. No safety dead zone. K. Optional Mounting Stand: Stand height of 26" (660 mm) creates work surface height of 29.4" (746 mm) for seated position. To configure height for standing position, contact Air Science. NSF 49 & EN12469 Listed: Certiï¬ed for safety and performance. The Purair BIO is NSF 49 and EN 12469 certified to meet international and industry standards of performance and protection. 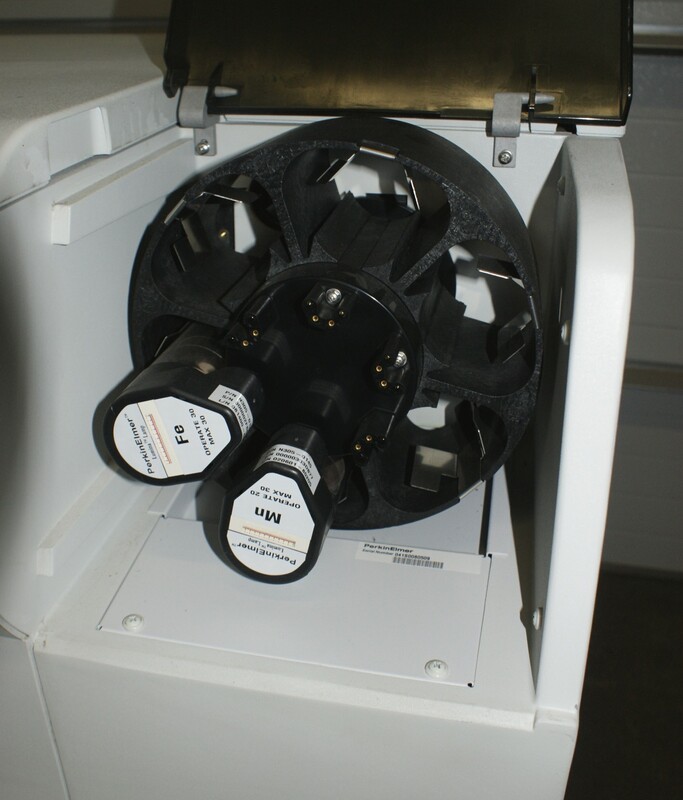 Standards Compliant: The Purair BIO undergoes 10 internal quality tests prior to leaving the factory, including pressure decay testing, downflow velocity testing and HEPA filter leak testing. The Purair BIO includes an integrated control center for easy management of all functions. Analog Minihelic gauge verifies airflow; On/Off switches are provided for interior lighting, UV lamp, interior outlet activation and fan; Sash alarm indicator activates an audible and visual warning of unsafe sash position (8 inches or 20cm from the bottom of cabinet); Mute button silences the alarm for a specified time; On/Off switch controls main power. The Purair BIO maintains an airflow ratio of 70% recirculation to 30% exhaust to ensure operator protection. The inflow and downflow balance is precisely established, with no room air entering the work zone to prevent product contamination. Airflow patterns are precisely tuned and tested to create an optimum air curtain on the front aperture, maintaining personnel and product protection even during the unlikely event of severe inflow or downflow imbalances. HEPA filtration protects the operator from particulates and the process/samples from contamination by maintaining cleanliness within the work zone. The Purair BIO uses AstroCel® HEPA filters to provide a range of high performance protection. These self-contained filters are designed to physically capture particles larger than 0.3 microns with >99.995% typical efficiency. The AstroCel II Fluid Seal filters feature an integral groove filled with gel at the air inlet side, ensuring a perfect seal to the housing system. The aluminum frame guards against swelling typical of wooden framed filters. The filters do not contain aluminum separators to provide unobstructed airflow and superior filtration. A patented HEPA filtration lock maintains filter efficiency, minimizes the chance of leakage and prolongs filter life. The filters can also be changed from the front side of the cabinet quickly and easily. Easy to Install. The biosafety cabinet is self-contained and does not require venting to the outside. Units are portable and may be moved from one location to the next with minimal downtime and without ï¬lter changes. Set-up, operation and ï¬lter maintenance are straightforward. Energy Efficient. Because ï¬ltered air is returned to the room no demands are required of the facility HVAC capacity for make-up air. Safe to Use. Cabinet airï¬ow and face velocity protect users from incidental exposure to particulates. Extended filter life. Constant airflow design automatically adjusts air pressure to stabilize airflow and extend the life of the installed HEPA filters. More Air Volume. High torque capabilities transport more air volume and pressure than traditional AC motors. Energy Efficient. Over 80% of the output power is converted to kinetic energy to ensure ongoing energy savings over the life of the motor. Each cabinet is individually tested for electrical safety at the factory and documentation specific to each tested cabinet is maintained on file. The Purair BIO and BIO-EN cabinets are warranted for 5 years for cabinet structure, 1 year for electrical components, and 1 year for all consumables. Each cabinet is shipped with a comprehensive user manual and IQ/ OQ documentation is available upon request. Contact your local Sales Representative for specific warranty details or documentation requests. 56.3" x 34.9" x 64.2"
59.1" x 41.3" x 74.8"
57" x 31.8" x 59.8"
RS 232/485 connection for local data transmission networks. Full-color Microcomputer Touch Panel with easy to use graphical user interface. Real time digital display of inflow velocity, temperature, HEPA filter pressure and usage time for HEPA filters and UV lamps. Mounting stand with leveling feet. Stand height of 26" (660 mm) creates work surface height of 29.4" (746 mm) for seated positions. Stands to configure for standing positions are available, contact Air Science for details. For connecting the biosafety cabinet to building exhaust or remote blower for outside ducting. Additional connections available for Air/Gas/Vacuum. Field Installed. Includes 6 hooks. Specify when ordering. Field installed. 2 duplex electrical outlets (4 sockets total)2 left and 2 right with splash proof cover (UL listed). Note: EN units have 2 sockets total.